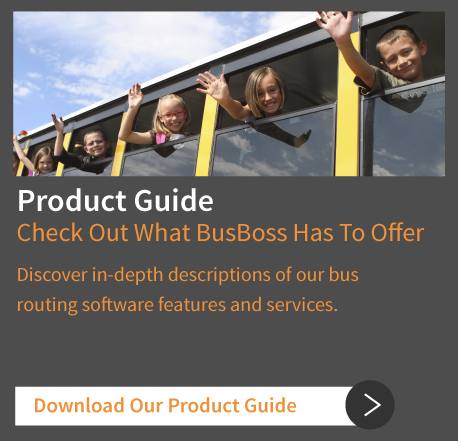 Your BusBoss transportation management system comes fully equipped with training specialists who help you and your team to successfully adopt the software. The goal of our SuccessRoute Training program is to help you learn, optimize and get the most out of your transportation management software investment. Our Standard Training option leverages the training material developed by the BusBoss training specialists, along with our consultants’ knowledge and experience, to deliver onsite, low-cost training to you and your end users. Free, convenient online training is also available. The Tailored Training option is based on the needs of your bus routing staff. We supplement our Standard Training program with materials developed by our specialists’ and consultants’ experiences, specifically tailored to the software features you need most. We work with the transportation management solutions you’re implementing and help train onsite according to your customized needs. Web Training offers a variety of optional training classes on all of our products, led by our expert training specialists. Web training also covers BusBoss standard or enhanced features, with training in such areas as redistricting, importing students and fleet optimization. Our Train-the-Trainer program teaches participants essential skills so they can transfer knowledge to adult learners in a way that’s educational, interesting and interactive. This program is particularly useful as jobs change and re-training is needed at an increasing rate. Rather than turning to expensive outsourced trainers, your managers and team leaders are well equipped to train new users on your BusBoss transportation management system. Vendor-Hosted Training occurs at the BusBoss office, allowing you to get out of your office and really focus on learning your transportation management system. We eliminate the interferences and distractions of constant phone calls, emails and drop-ins. After the initial training sessions, your SuccessRoute Training specialist provides you access to our comprehensive learning database. Transportation management software user guides are also provided in print or electronically from BusBoss Support online. The SuccessRoute Training plan is designed to ensure that both you and your staff are confident and self-sufficient using BusBoss transportation management software. 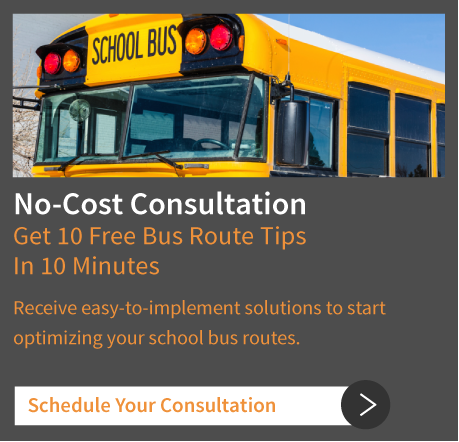 Throughout the process of implementation, training and ongoing use of your BusBoss transportation management system, your single point of contact is always standing by your side to answer questions and address any concerns you may have.